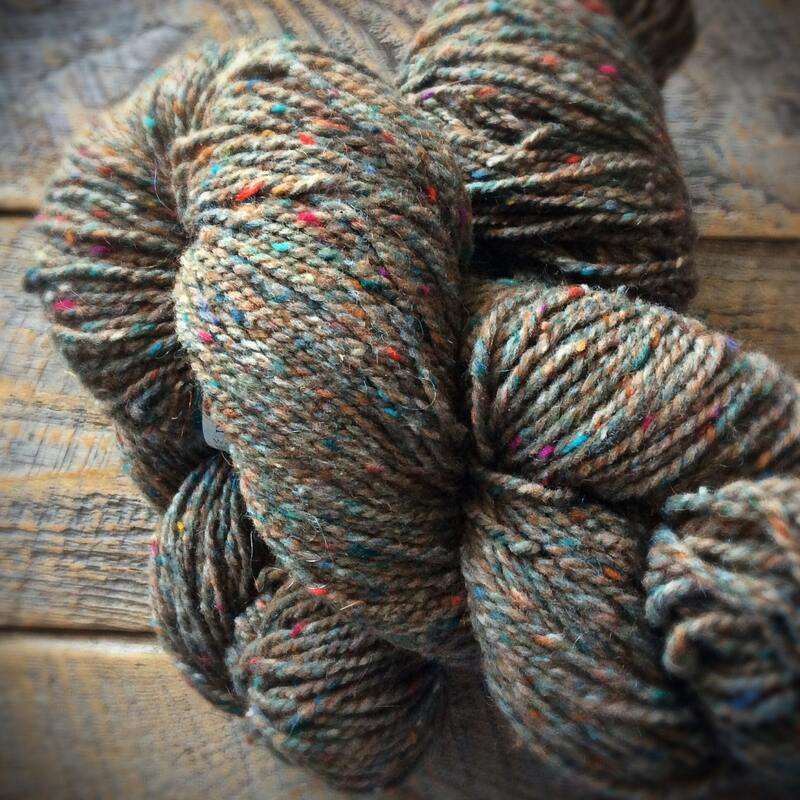 Peace Fleece Grass Roots yarn is a warm medium brown wool yarn that is undoubtedly an essential neutral for spring. This shade brings to mind a natural earthiness with bright flecks creating interest. 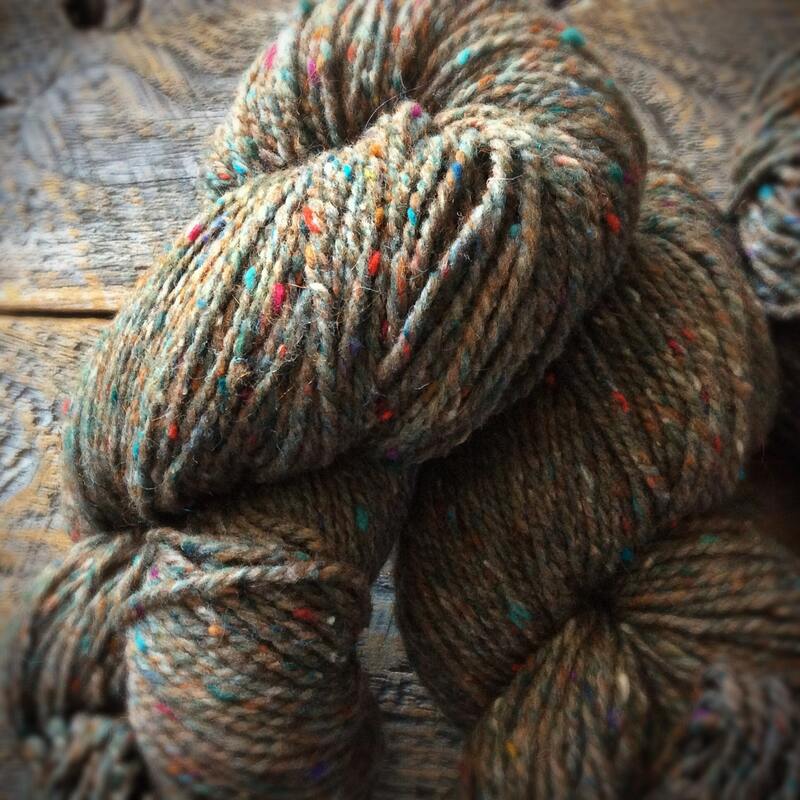 A worsted weight wool yarn for knitting is unpretentious and with a natural warmth. 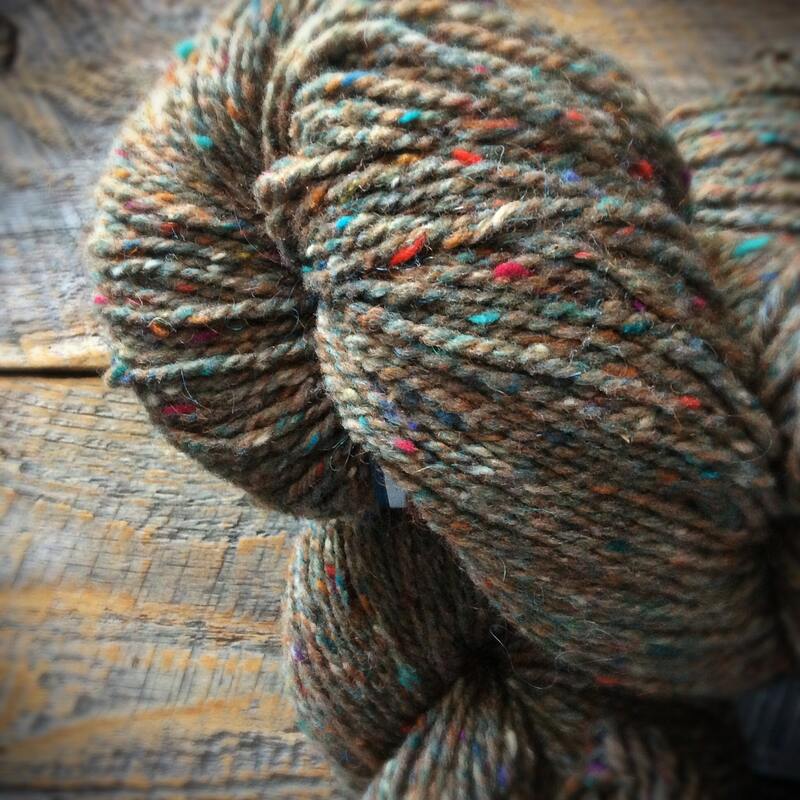 This yarn is a transitional color that effortlessly connects the seasons. Heathered with tangerine, teal and tiny bits of pink, red and purple, this yarn is perfect for crocheting, too. It looks like a late Autumn field of wildflowers. Hand wash lay to dry. This wool will felt. 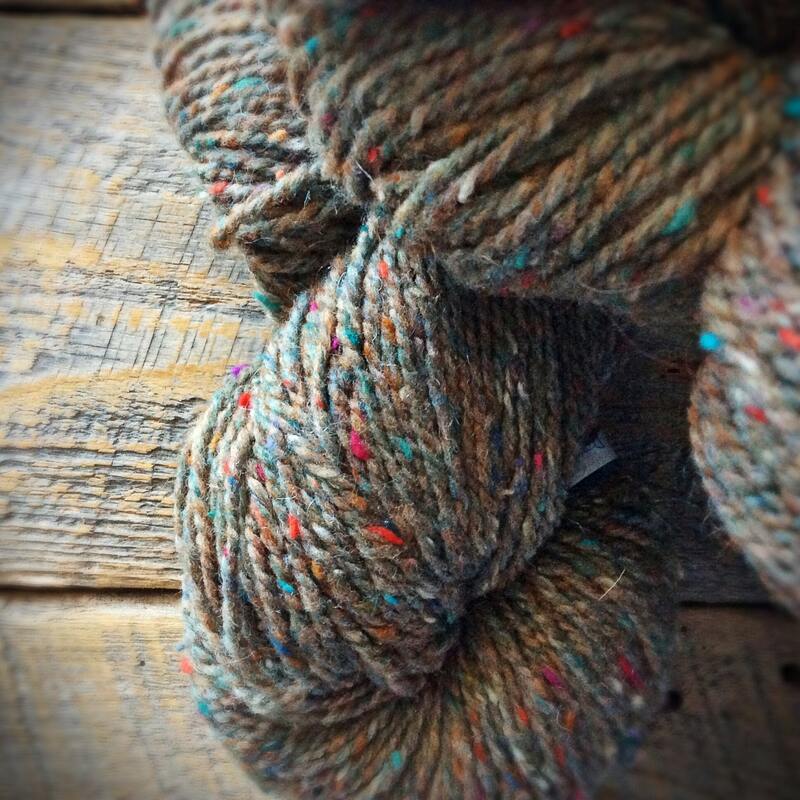 Peace Fleece is a good, sturdy working yarn that will be beautiful and toasty. It will surprise you after you wash your project. Peace Fleece feels stiff while knitting, but relaxes and blooms the more it is washed & worn, quickly becoming a soft favorite! Fantastic for sweaters, shawls, and mittens! The peace fleece is beautiful!!! And it arrived so fast! I also love the little extra (to test out my pattern)! Thank you!!! I will be ordering again! Beautiful color! Great customer service! Will be a repeat customer for sure! 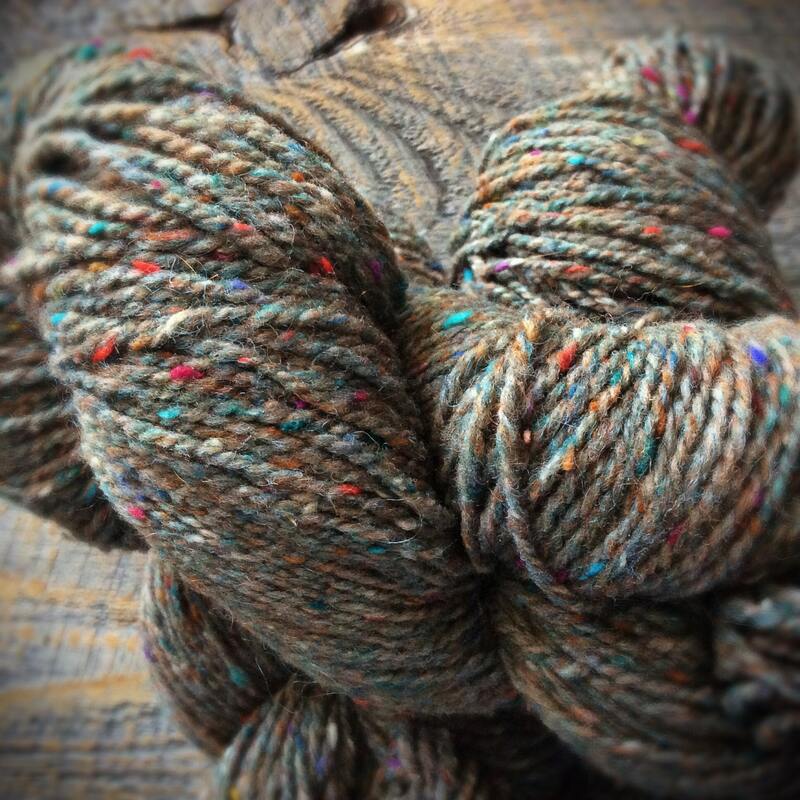 The pictures do not do this yarn justice. The colors are beautiful. I especially like that it is slightly bulkier than a worsted weight (4 stitches to the inch on a #8 needle). I wanted a “country look” and this yarn will be perfect!!!! On top of everything, I really like the “mission” of Peace from this company.